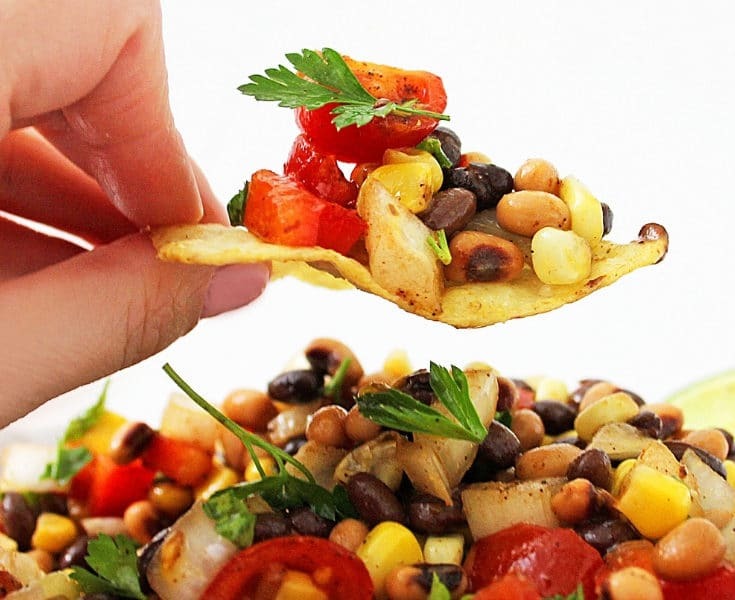 Do you love green bean casserole? Want to make the best green bean casserole you’ll ever have? 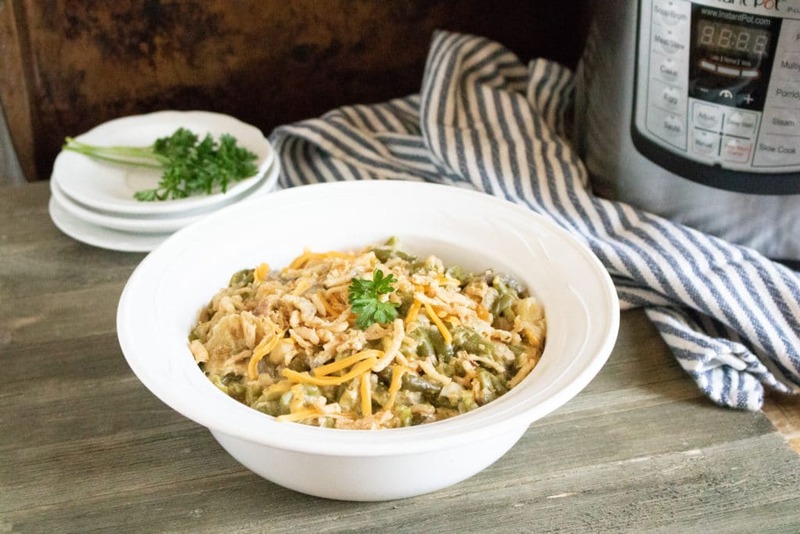 Make Instant Pot Green Bean Casserole again and again. Green Bean Casserole is a classic dish for Thanksgiving. Many people will also make green bean casserole for Christmas and Easter. But why does it only get made a few times a year? 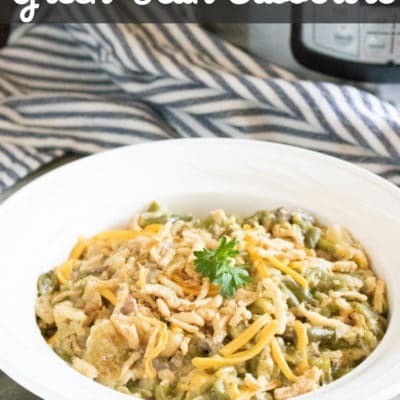 Using my Instant Pot Green Bean Casserole recipe, you will want to make green bean casserole as a delicious side dish. 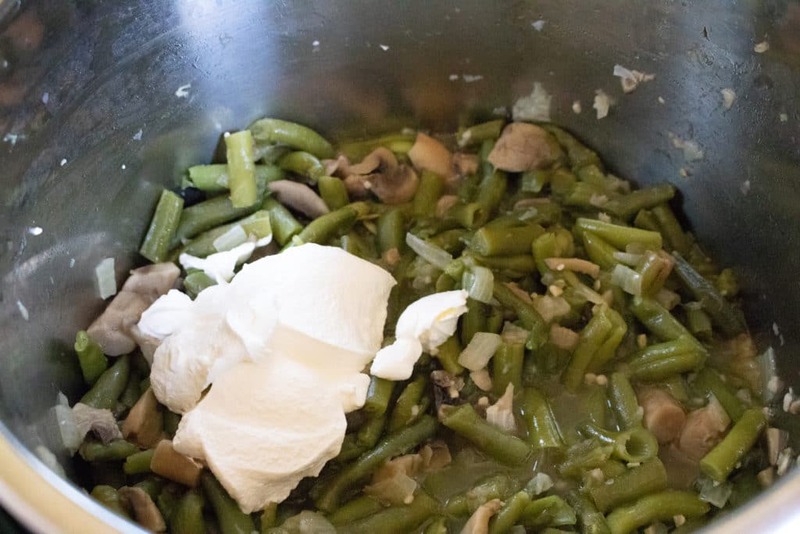 Many people use canned green beans when they are making green bean casserole. 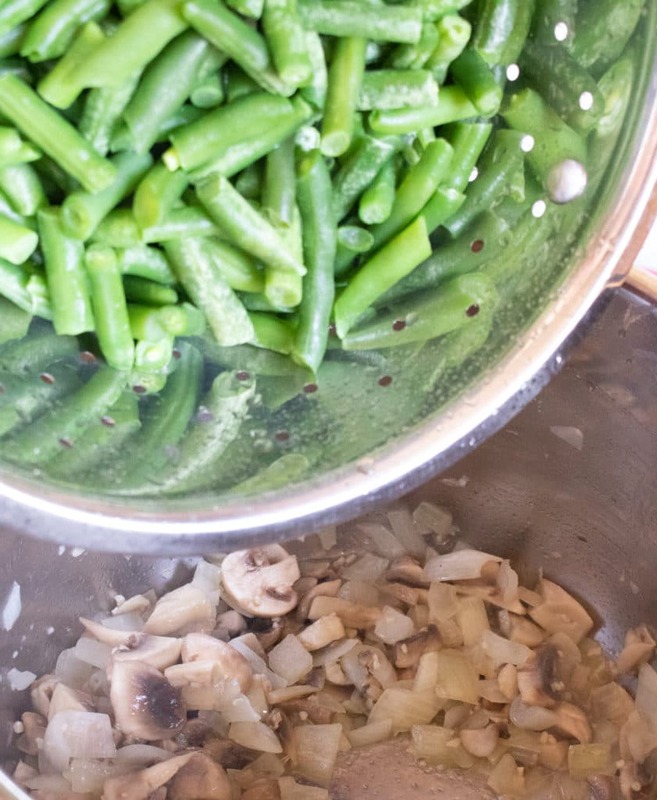 I prefer using fresh green beans when making Instant Pot Green Bean Casserole. I like the texture and taste that comes with fresh green beans. 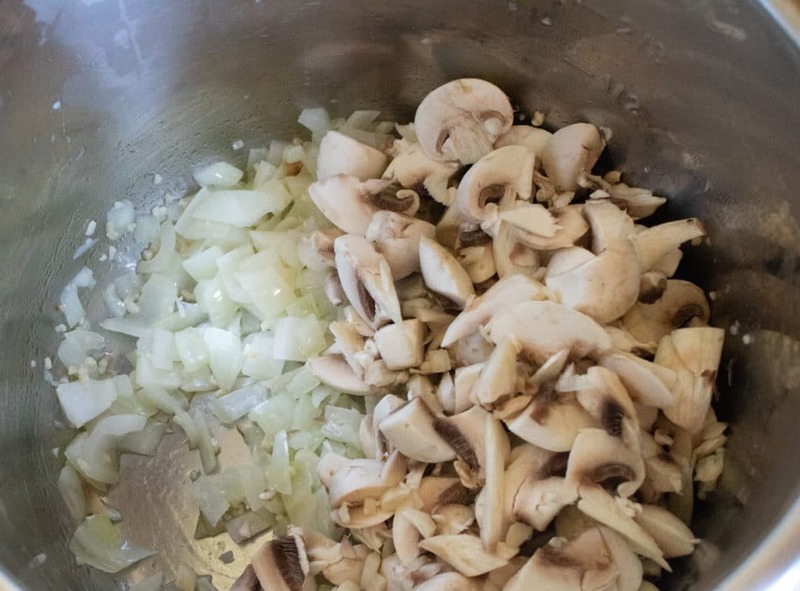 When most people are making green bean casserole, they tend to use cream of mushroom soup. 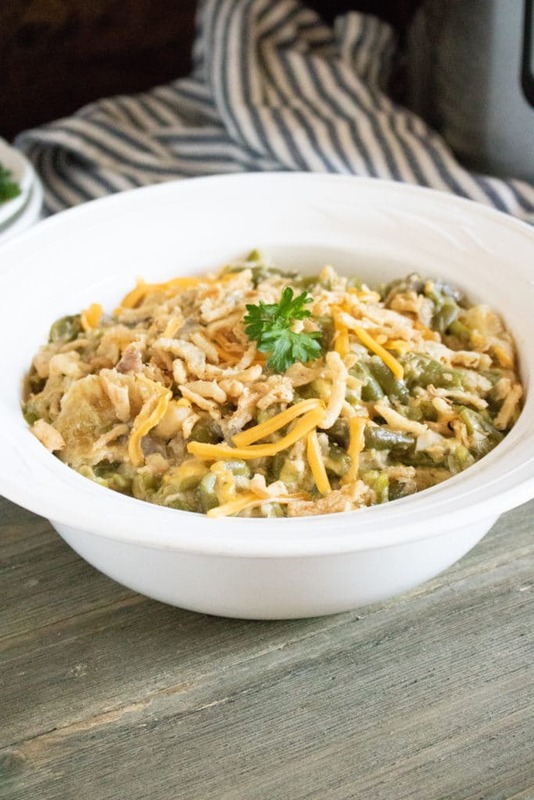 With my Instant Pot Green Bean Casserole recipe, you don’t use cream of mushroom soup. 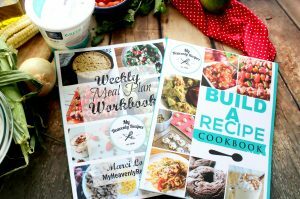 Instead, you will be making a from scratch version. 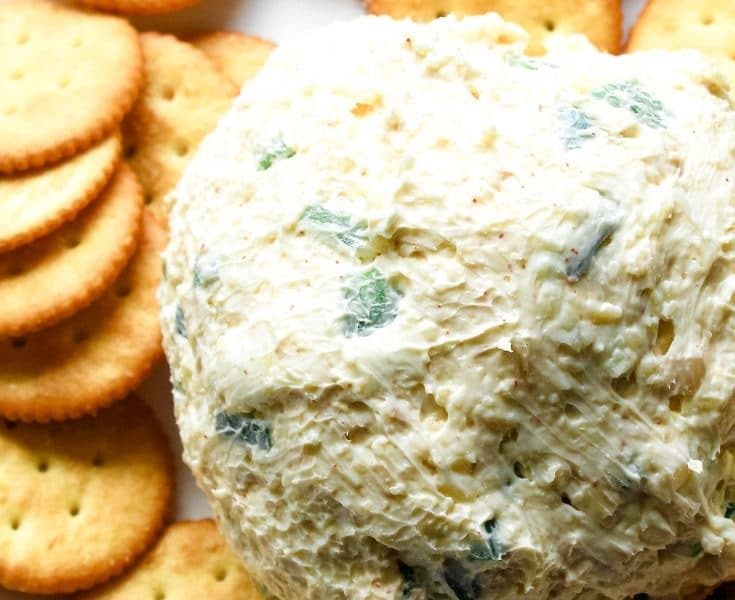 This will keep the same creamy consistency of green bean casserole. So I am sure there are some people who stopped and think there is too much going on with this green bean casserole and it will take too long to make. 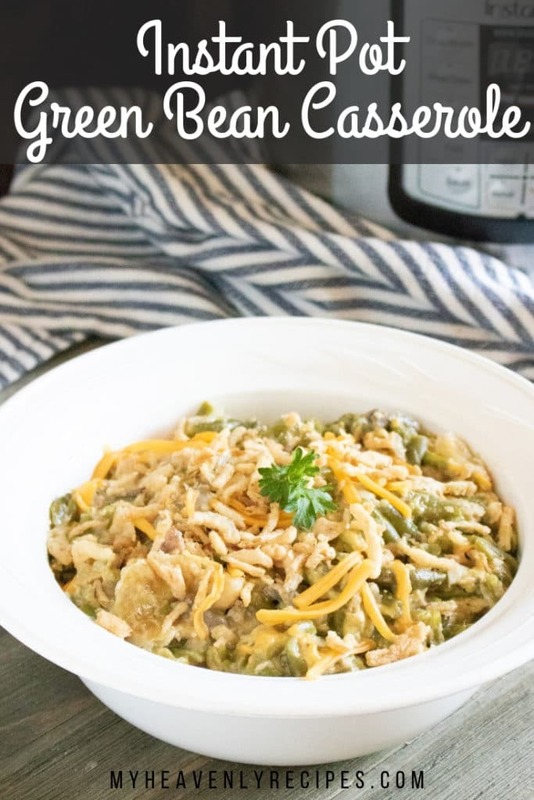 Actually, with Instant Pot Green Bean Casserole even using fresh ingredients, it still takes less time to make Instant Pot Green Bean Casserole from scratch then it is using processed ingredients. Add bacon– If you love bacon and who doesn’t, cook bacon on the side. You can cook the chopped slices of bacon after the onions and garlic. Turn Instant Pot on to saute mode and saute the onions and garlic together with butter for 1-2 minutes while stirring. Add in the mushrooms and saute for an additional 2-3 minutes. Add seasonings, stock, and green beans. Close the instant pot lid and turn pressure valve to seal. Cook on manual high pressure for 1 minute. 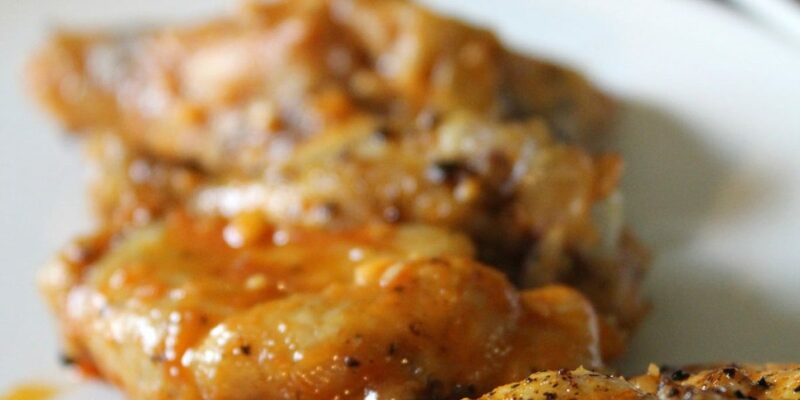 Allow for a quick pressure release and then add in the cornstarch, sour cream and cheese. 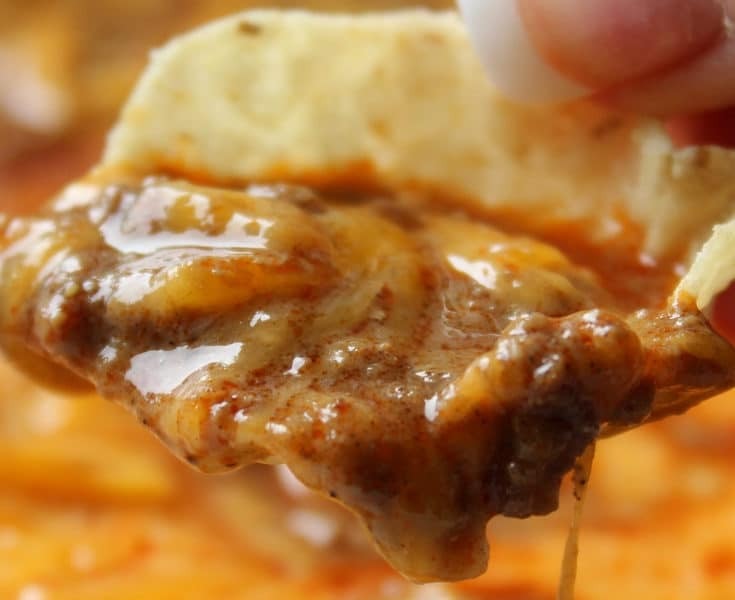 Stir it all together. Transfer to a small baking dish (8-inch square or similar) and top with additional French fried onions and cheese to garnish. Do you love green bean casserole? Want to make the best green bean casserole you'll ever have? Make Instant Green Bean Casserole again and again. Transfer to a small baking dish (8 inch square or similar) and top with additional French fried onions and cheese to garnish.